Where do I start? The keynote at the 2014 Apple Worldwide Developers Conference is now my favorite among the keynotes in recent years. There were no new hardware announcements. After all, this is a keynote for a software developers conference. I already knew that the split screen multitasking function rumored for the iPad would not be ready for WWDC. And, still, I think this was the most game changing keynote in a long time. Smart adjustments - iOS 8 gives the user access to native photo adjustments like brightness, contrast and exposure, but also makes it easy for the non-expert to lighten/darken photos and other adjustments. 3rd-party filters & editing tools - I believe this will be a game changer. Photo editing apps will eventually be mostly plug-ins for the native photo app. All of your 3rd-party filters and editing functions will be all in one place! Apple won't have a reason to compete with the developers. Time-lapse video - As far as I remember, this wasn't mentioned in the keynote. Time-lapse apps will now need to add more features. Voice messaging - Although Whatsapp is the most vocal whiner on this feature, this feature has been on instant messaging apps for a very long time. Whatsapp did not invent this. Quick videos - It just makes it much easier to send very short videos. Group messaging features - Thank you! We will no longer be a slave to group messaging. If you don't wish to be part of a group messaging thread, you can now leave! Yay! You can also take people out and name your conversation. Sharing your location - I can see using this a lot. Maybe you don't want to use Find My Friends and just want to say to someone, "I'm here!" It's now much easier to do this. Attachment browser - If you get pummeled with pictures and videos, it will be much easier to browse them. Easy sharing of multiple photos, videos - Currently, to share multiple photos and videos, you will have to go to the Photos app and select the pictures and/or videos you want to send in Messages. This basically, skips having to leave the Messages app. Interactive notifications - iOS takes a page from OSX and will have interactive notifications. It is very helpful on OSX and will make iOS more functional. This will also be open to 3rd-party apps. Favorites/Recently called widget in multitasking screen - I use Siri to make calls, but if you really want to use the touchscreen, this is a nice way to get to Recents and Favorites. You may be able to bury your phone and/or contacts app in a folder instead of putting it in your dock. Time-saving features in Mail - This takes a page from Gmail. It's nice and convenient, but we'll have to learn some new gestures. It's also easier to add events in your calendar or people in your contacts. Safari features in iPhone get ported to the iPad - I never really noticed this was missing from the iPad. Keyboard versatility - iOS catches up with Android with predictive typing and 3rd-party system-wide keyboards. Can you say "Swype?" This feature will be initially available to 14 countries. Share the same apps, music and other media with up to six family members who are linked to the same credit card without having to share accounts. - This is a long-overdue feature that will really make things easier for kids and adults. 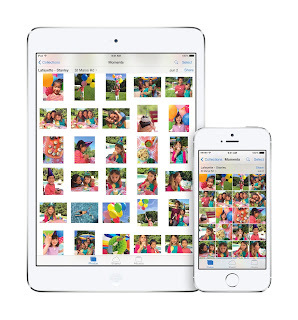 Apple's answer to Google Drive and Microsoft's OneDrive. Again this is dependent on how much cloud storage you have, but a very welcome solution to cloud computing. An all-in-one app that brings together the multitude of heath and fitness devices out there. Or, you can call this iWatch, Part 1. Handoff will let you go seamlessly between your iPhone, iPad and Mac through a number of Apple apps. They're also opening this up for 3rd-party apps. Make and receive calls on your iPad or Mac through your iPhone. In addition to iMessage, you will now be able to make and receive SMS and MMS on your iPad and Mac. Instant Hotspot - An easier way to access the Hotspot feature on your iPhone. This is subject to rules with your carrier. Spotlight gets more useful by going beyond what's on your own device. It will search the Internet and even places like the App Store. 10.10 Redesign - This doesn't really look like iOS 7 but takes enough of those cues to make it more uniform with iOS. It's a flatter design, but it still includes certain design aspects like drop shadows. 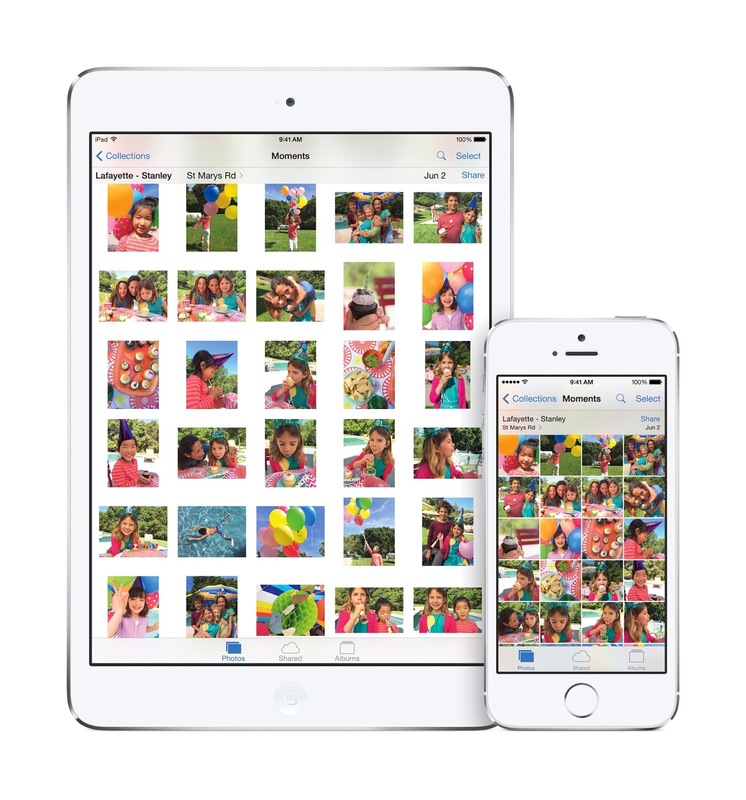 As iCloud features expand for the consumer, it's also opened up to the developer. That's a pretty dizzying list of new features for all of Apple's major platforms. And, interestingly enough, I think the list of developer changes is what really will radically change the iOS experience. The ways Apple is opening up app access to the OS here will change the experience for users more than any single OS feature. iOS will be more customizable than ever with the same security that Apple is known for. It seems like this list of features is firmly aimed at catching up with Android and it might even leapfrog it as a functional mobile OS. Jason Snell of MacWorld, PC World and TechHive said on Twitter, "The ways Apple is opening up app access to the OS here will change the experience for users more than any single OS feature." Although many will focus on HealthKit (iWatch/3rd-party vendors) and HomeKit (3rd-party vendors), I think the new advances in gaming is very, very exciting. With SpriteKit, SceneKit and Metal, the promise of console gaming is right at our doorstep. This is why the 64-bit A7 was so important. The next generation of iOS devices may have more CPU RAM and that will help bring iOS closer to the consoles and set up the next generation Apple TV. Between now and the launch of iOS 8 and OSX Yosemite, I'll be looking closer at each feature and what that means for the Apple consumer.